I’ve lived in quite a few apartments now in my 26 years, ever since college I’ve pretty much moved every year or so at the end of my lease, and have not been lucky enough to own my own home, but I believe in making the best of what you have. We spent all of last summer looking for a house or townhouse to rent and after getting no where, (we live in a very expensive area where nothing stays available for long) we settled on our current apartment. It has lots of space and two patios, but is older and not as nice as our last that was tiny and had no outdoor space at all. I wasn’t thrilled but after I got my own stuff in and started to find what worked where I began to change my mind. I’ve learned a few tricks over the year, and here are a couple. 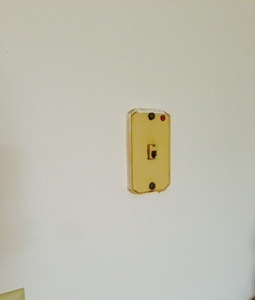 I’ve lived in apartments before that have the phone jack right up on the wall which I will never use. Ben and I just have cell phones and most people I know don’t have land lines either. 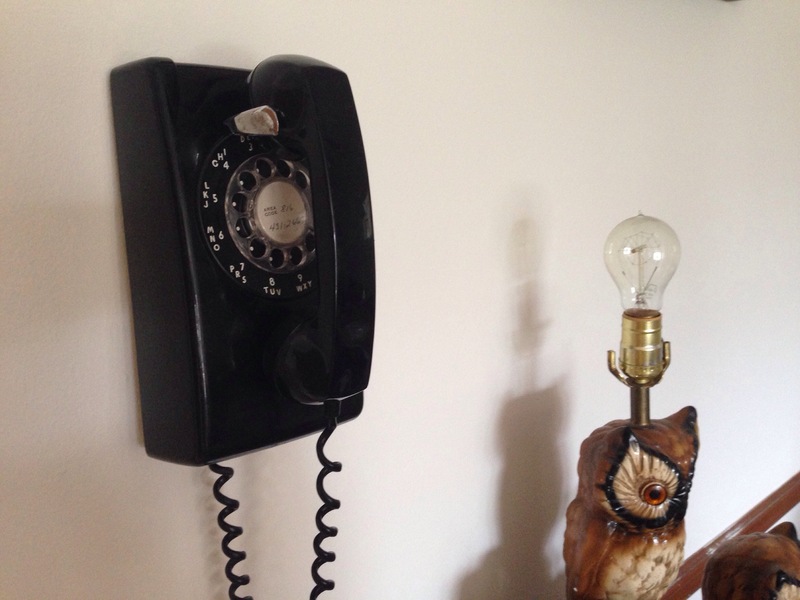 My solution to this ugly thing on the wall is to put up a vintage phone. It is a phone jack after all! 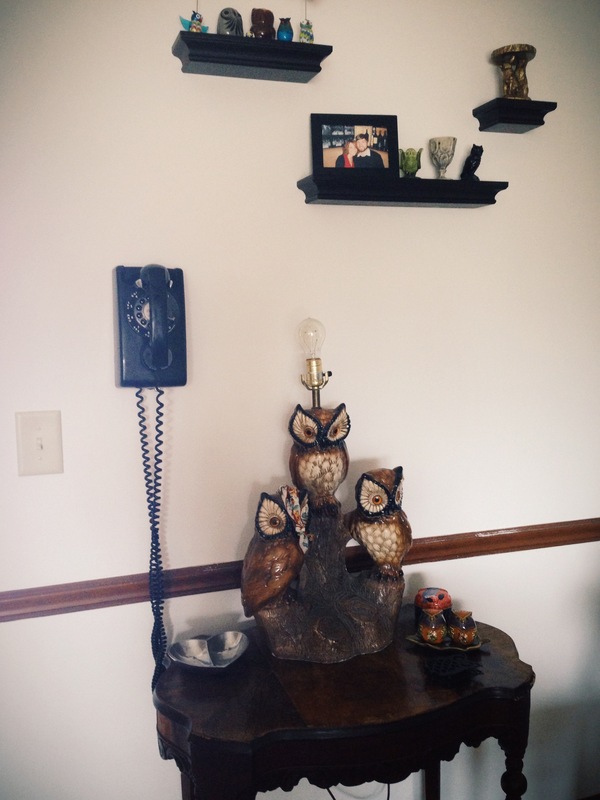 I was lucky enough to acquire a box of old phones when my uncle moved into a house that had been abandoned for quite a while, but they can also be found at antique stores or on Etsy. 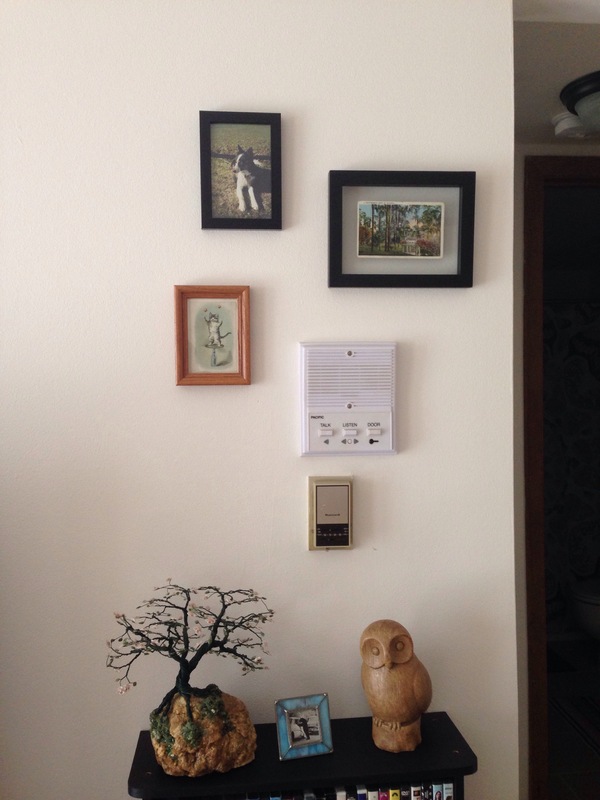 Another thing I didn’t like about the apartment was the huge intercom and ancient thermostat. My solution to this was to hide them a little with lots of small frames around them, so they don’t stick out like a sore thumb quite as bad. White walls are boring but I don’t always mind because then I can add whatever colors to a room that I want. Decorating should be fun and I’m still getting things to look how I want. I’ll probably never be done, but that’s half the fun! Let me know if you have more ideas, cheers!